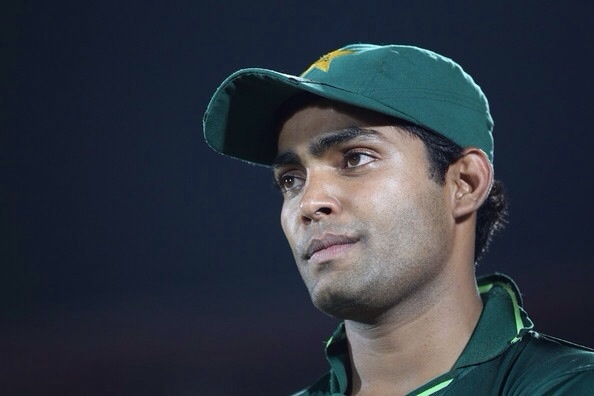 Pakistan batsman Umar Akmal has been arrested in Lahore after being accused of assaulting a police warden. The 23-year-old has said the traffic warden slapped him and is denying all charges. Akmal is confident of clearing his name by using CCTV footage that captured the incident at the traffic signal. The right-handed batsman and part time ODI wicketkeeper, has represented Pakistan in 16 Tests, 89 One-Day Internationals and 52 Twenty20 Internationals. This entry was posted in Cricket and tagged Cricket on February 9, 2014 by bradeveleigh. “He bowls to the left, he bowls to the right, Mitchell Johnson destroys English alright..” was reverberating around social media after once again, the mercurical fast bowler tore through England like a chain saw to put Australia 2-0 up and on the precipice of an Ashes victory. In this blockbuster ten match Ashes series, the toss of the coin has usually given a fair indication of where the result. In the winter series, Australia’s two best results (two draws) came from winning the toss. Once again in front of a newly renovated Adelaide oval, Michael Clarke won the toss and duly elected to bat on a sedate pitch. Australia gave their best impression of a Sydney train with the stop start nature of the innings highlighted by David Warner who blasted his way to 29 runs off 36 balls before getting out to a daft shot. Several Australian batsmen followed his example as Bailey, Rogers and Watson threw away good starts. 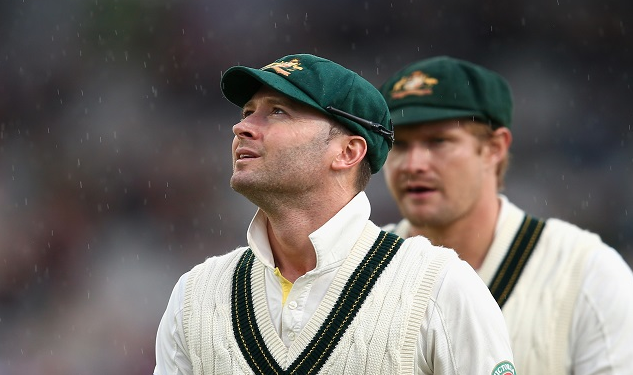 Outside of these efforts, Michael Clarke glided effortlessly like a cloud on his way to a second consecutive century in this series leading once again from the front and forcing writers to consult their thesauruses for new adjectives to describe his performance. Brad Haddin chipped in with a good vice captain’s knock to help Australia post an imposing 9/570 declared. The South Australian RTA did their best work in producing the road used in Adelaide but England must have been thinking it was Brisbane again, as they collapsed under the weight of Mitchell Johnson’s mustache (and his bowling). This effort was more impressive than his demonic spell in Brisbane as the pitch wasn’t conducive to fast bowling but he was producing balls regularly around 145-150km/h. The Aussie captain had a choice to make after the English were rolled by 172 with a deficit of 398 runs. Michael Clarke decided to give his bowlers a rest while piling on the misery for the tourists who were dreaming of a white Christmas back home. The message was simple, look for quick runs to put the English out of the match and be forced to play for the draw. David Warner heeded the call despite the rain, making an unbeaten 83 before Michael Clarke declared on the morning of day four. England had two days to save the contest and their morale before heading to Perth but by the end of day four, they were hanging precariously over a second straight loss to the Australians. They started brightly after the regulation Johnson dismissal of Cook who is quickly becoming the largest bunny in a herd of them for Mitchell. Besides Cook, most of the English batsmen showed some grit in putting together an innings, three batsmen past the half century and as a team, England made over 200! Depsite this resistance they still were dismissed by a combination of daft shots (Ian Bell), falling into a predictable trap (Carberry and Pietersen) and just tight bowling by the Australians. They extended the game into the fifth day which was a win in itself but on the scoreboard, England were beaten once again – this time by 218 runs with the daunting prospect of the WACA pitch looming large in the third test. Australia have already named an unchanged team once again while England are contemplating dropping a spinner to play of their tall quicks (Bresnan, Finn and Rankin). This entry was posted in Cricket and tagged Australia, Cricket, England, Michael Clarke, Mitchell Johnson, The Ashes on December 12, 2013 by karenunchained. It has all just fallen apart. The Ashes have been lost, congratulations England. Australia stumbled about shuffling the deck chairs but the only constant has been losing thus far (besides Manchester). Once again – there were changes for Australia as Jackson Bird came in for Mitchell Starc with Warner promoted to opening putting Watson in the middle order. England called right at the toss again and looked to pile on the runs to continue Australia’s misery after failing to wrest the Ashes away from the mother country. It was going well for the home side at 2/149 but enter the Lyon. Nathan Lyon who had been rightly panned for his lack of wickets in this series, delivered – he had picked up Trott beforehand then followed up taking Pietersen, Bell and Bairstow to reduce England to 9/238 at the end of the first day. Harris quickly took the final wicket and Australia had the whole of the second day to bat. The batsmen (besides Chris Rogers) didn’t get the memo as they reverted to type, losing quick wickets and being 4/76, Stuart Broad taking the majority of the top order and added two lower order ones for a first innings five-for. Day 2 belonged to Chris Rogers though, he stuck through the tough patches showing the form he procured in the County Championship over the last ten years finding an able partner in Shane Watson to guide Australia over 200 and importantly Rogers to his first century for his country. Rogers battle to get from the 90s to the century was a mirror to his career, as he was being tested and prodded by Swann with men around the bat. He didn’t score for 19 consecutive deliveries before sweeping away his troubles. The tail followed shortly to give Australia a slender 32 run lead that proved the downfall of Joe Root to Ryan Harris. Harris much like the previous two tests was the chief wicket taker taking nine over the course of the test match. He had a weight before taking the vital wicket though, as Ian Bell continued his stellar form in this Ashes series. In an innings that no other batsmen proved past the half century, Bell underlined the patience and determination that has been the trademark for his career since he evolved from the “Sherminator” nickname bestowed upon him by Shane Warne. Bell now has three centuries in this series and four in the last five test matches but was aided by some lusty hitting by Tim Bresnan and Graeme Swann to push the target from a chase under 250 to 299. Australia had a day and a half to chase the target but could they maintain the sensible nature needed to get a win on the board. First innings centurion Chris Rogers and David Warner put Australia on the best path to victory following a stand of 109 before Swann tempted Rogers to nick one to Trott. The stand was something that had been lacking in the previous three test matches – positive intent as Warner was scoring quickly with Rogers anchoring the other end to get Warner to a fifty. Despite the loss of Rogers, Australia continued to inch closer to the total getting to 4/174 over halfway towards the target before enter Stuart Broad. Broad who has been the pantomime villain for Australian’s after his non walking in the first test showed why he is a devastating bowler on his day. He started with a cracking delivery to dismiss Michael Clarke which set in the rot and the familiar collapse which has plagued the Aussies in the last few years resurfaced. Broad though cranked it up to maximum, touching past 140 kms/ph swinging the ball just destroyed the already low confidence of the batsmen towards a ten wicket haul over the test match. A limp surrender briefly halted by Peter Siddle showing more grunt than most of the top order before the celebrations begun and it ticked over to 3-0 England with one game left to play. Australia out of answers and England loving every minute in their transformation in the 1990s England. This entry was posted in Cricket and tagged 4th ashes test, 4th test, Ashes, Australia, CA, Chris Rogers, Cricket, Cricket Australia, England, Graeme Swann, Ian Bell, Nathan Lyon, Stuart Broad, The Ashes on August 15, 2013 by bradeveleigh. Rain, rain go away come back again never! So a draw that is something different. An Australian finally made a century and besides the small precipitation drops that ended day five it was a good test for the tourists despite losing the ability to regain the Ashes. 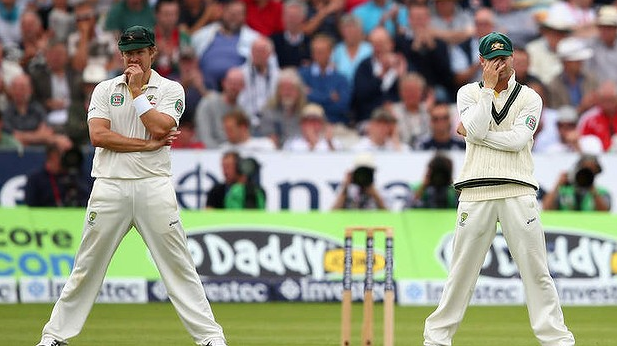 It was a new dawn for the Australian team after the massive defeat at Lords. Nathan Lyon, Mitchell Starc and David Warner came in after the wheel of selection misfortune landed on their names. The bowling contingent breathed a sigh of relief as 1) Australia won the toss and batted! 2) They weren’t going to be bowling with a total under 300. Further proving this new dawn, Shane Watson showed that he was a jack of all trades, getting out caught instead of lbw. The Australians led by Captain Michael Clarke applied themselves for batting longer than an hour and it produced results with Clarke making the first century of an Australian in this series while Rogers and Smith made 84 and 89 respectively. In making 527, Australia still managed to be spun out by Graeme Swann who picked up another five for including Usman Khawaja who was given out after review despite not touching the ball. The use of DRS is continuing to provide evidence to eradicate the technology. This Ashes series has been blighted heavily with umpiring and DRS mistakes taking the spotlight off the actual cricket being played. For the first time in the series when it was needed, Australia put on some runs on the board forcing England to start their innings half an hour before close on day two. Peter Siddle threw a spanner in the works picking up Joe Root and later, nightwatchmen Tim Bresnan to leave them 2/49 with following on a distinct possibility. Someone had to step up for the home side to make Australia sweat and up stepped the figure they needed, Kevin Pietersen. He is a batsman who can take the game away from a side in a session with a positive batting approach and he took to the Australian bowlers on his way to the fourth English century of the series and nudged them towards passing the follow on. The problem as England passed the follow on, was the spinners. Australia hadn’t had large contributions from their slower bowlers in this series. If a result was to be forced in this test and keep the series alive, Nathan Lyon needed to step up much like Graeme Swann did in the first innings. He produced a tight line but it wasn’t penetrating as he picked up a single tail end wicket leaving the work to the pace bowlers to take the remaining nine leaving England trailing by 159 but looking likely for a draw. Since they couldn’t lean on the follow on – Australia needed to plunder some quick runs to leave themselves enough time to bowl out England with the ominous presence of rain. Clarke knowing this sent David Warner up the order in a shuffled batting line-up including Shane Watson batting at four. Warner once again found his nemesis in Joe Root with a misguided hook but the following batsmen kept the scoring up work the lead past 300. There wasn’t going to be much more play after the umpire’s took off the players for bad light despite Clarke’s protests to throw more drama into a series starting to resemble the bold and beautiful more than cricket. The rain that was predicted on day four held off but came in bucketloads on the final day when it wasn’t needed. The rain held off long enough for play to get underway allowing Ryan Harris to take the crucial wicket of Alastair Cook for a duck plus wasting a review. Harris added another along with Siddle to leave England 3/37 but down came the rain, washing Australia’s Ashes chances away with no play after lunch. The home side had retained the Ashes for the fourth time since 2009, celebrating with the crowd who had braved the forecast for the job being done at home. Australia on the other hand have pride to play for in the final two tests before looking to win back the urn back on home soil. This entry was posted in Cricket and tagged 3rd Test, Ashes, Australia, Cricket, England, Graeme Swann, Michael Clarke, Mitchell Starc, Nathan Lyon, Old Trafford, Shane Watson, The Ashes, Third test, Usman Khawaja on August 9, 2013 by bradeveleigh. From the euphoria that followed the opening Ashes test with Australia losing by 14 runs. The second test was the exact opposite. The margin only scratched the surface of the problems facing the tourists in the remaining games. Australia started on the backfoot losing the toss once again and being told to field. There were two changes for the Aussies in Ryan Harris and Usman Khawaja. The former showed why fans had wanted the quick selected much more than his number of caps showed when he tore through the English top order to reduce them to 3/28 on his way to a first innings 5 for. That was where the joy for Australia’s quicks ended though. England much like in the first test, were able to hold their ground through Ian Bell with help from Johnathan Trott and Ian Bairstow. This had been the difference in the series thus far, the English collapses were stabilised before becoming calamity. Bell had his third consecutive Ashes hundred before an unlikely hero stepped up for Australia. Steven Smith thrown the ball to waste time before the new ball, produced a ripper to remove Bell and followed up with dismissing Bairstow and Prior. Australia have been looking for the unlikely hero (Agar in the first test with the bat) while England were consistent with odd flashes of brilliance from someone to propel them on. The consistency was underlined with the lower order scoring 12, 28 and 33 respectively to drag England to 361. It was the same old song and dance for the tourists once they got the chance to wield the willow. Shane Watson got off to a promising start then was caught lbw, Chris Rogers missed a full toss and Usman Khawaja tried to send Swann into the stands but only made mid-on. Those were the glaring moments in a collapse of 128 with the strains of “Swann, Swann will tear you apart again,” ringing true around Lords. Heads were bowed again and the Australia that had surrendered meekly at home in the Ashes battle reared their ugly head. Michael Clarke called it an embarrassment but that was still to come. Alastair Cook showed some leniency in not enforcing the follow on thus England got a chance to bat again and put Australia out of the contest. Once again though, the bowlers had worked magic for Australia. Peter Siddle in this instance probably greater than anything Harry Houdini produced as he reduced England to 3/30 allowing that wicked mistress hope to poke her head out. She was promptly firmly in her seat soon into the afternoon session though. Joe Root before this test was known to Australian’s for getting into an altercation with David Warner but he turned conqueror on the Lord’s pitch. He was dispatching the bowling with ease as he motored to his century and more importantly, team wise making the lead unassailable for the tourists. Cook’s men had studiously worked to move the lead past 500 only leaving the opportunity for Joe Root to make 200 at Lords. He was denied twenty runs short in a rare bright spot on Day four for the Australians. 583 was the target but reality had the Aussies surviving day four and doing the single largest rain dance to draw. Any talk of the rain would be premature though, as Australia in the most predictable outcome since Phil Taylor was winning darts tournaments, collapsed. The collapse wasn’t immediate like the first innings though, Clarke and Khawaja allowed hope to poke her head back in before both falling to Joe Root who had a smile you couldn’t wipe off if you tried after this test. 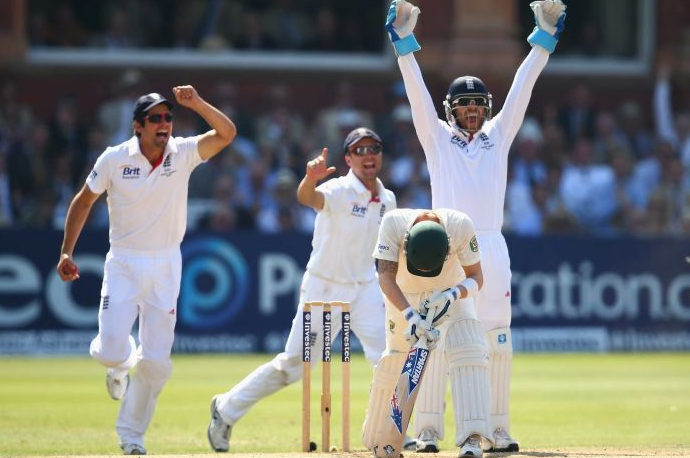 Predictably Graeme Swann delivered the final blow catching Pattinson lbw on the final over of the day after Harris and Pattinson teasted to drag the public (and Lord’s crowd attendants) into the final day with a dogged stance. Where to from here? 2-0 isn’t an unsurmountable lead but with the batting frailties Australia has, pride and preserving their test spot would be high on the agenda. For England, it is all about the sweep on a side that is ripe for that. This entry was posted in Cricket, Uncategorized and tagged Ashes, Australia, Cricket, England, Lords, The Ashes on July 27, 2013 by karenunchained. Five days of late nights and coffee laden mornings for Australia ended in heartbreak with Australia falling 14 runs short of England’s target of 311 to win after checking with a DRS system. Those two lines though don’t convey how tight, tense and emotionally draining the five days were. The drama started on the first day, in the Trentbridge sunshine Alastair Cook elected to bat testing out an Australian attack that was packed with pace but were erratic in their lines. James Pattinson struck first removing captain Cook but it was Peter Siddle who has been the saviour for the Australian side in recent years. He kept a full length that profited in uprooting (sorry had to) England’s most important batsmen in Pietersen and Trott while remaining economical amongst the erratic lines of his fellow fast bowlers. Australia had shown that they weren’t going to lie down at least on the bowling and fielding side of matters. They still had to bat which had been the Achilles heel in recent years. Once again the fragile top order reared it’s head after a promising start, Shane Watson and Ed Cowan departed in succession from Steven Finn with Cowan going after a daft shot on his first delivery. Finn was only the warm up act though, as James Anderson doing his impression of a puppeteer having the ball on a string in his five-for including a jaffer delivery reserved for Michael Clarke which left the Australian captain bewildered and departing on a duck. Australia had once again had shown why many had tipped England to win the series in a canter being left on 9-117 early on day two with only Steve Smith and Chris Rogers showing some grit and determination in preserving their wickets. This was until Ashton Agar stepped up. The Melbourne born leg spinner wasn’t named in the initial Australian squad and was a shock selection over Nathan Lyon sending the social media into a buzz. Smiling as he took guard, Agar and Hughes grafted the early portion of the partnership but as the runs flowed, so did the confidence from the Australian support with both passing 50 showing no signs of stopping. The signature shot lifting Graeme Swan over mid-off for six! He roared into the 90s, breaking records with each run while Phil Hughes, a maligned figure in cricketing circles recently compiled a tough 81* to march Australia over England’s total and a 65 run lead. The main story was Agar who fell two runs short of the century after holing out to Swann in the deep, he didn’t bow his head in disgrace, he walked off head held high, a smile plastered on his face to applause from everyone in Trentbridge and watching at home. England were stung from the young leggie’s innings and were reeling at 2 for 11 early after Cook and Trott were dismissed but they dug in to prevent a repeat of the first innings. Cook and Pietersen compiled a hearty 100 run partnership before Agar once again stood up, removing Pietersen earning his first test wicket. In their absence though, Ian Bell worked his way along to 109 as his Bairstow and Prior fell with Stuart Broad providing a steady anchor to get the right hander to the milestone which passing one himself being the fifty. Broad’s dismissal garnered more scorn from the southern end of the hemisphere as he didn’t walk after nicking Agar to slip. I won’t get into the semantics of walking but this test match had several peculiar decisions for both sides although these weren’t the main reasons that England won the match. Australia’s ill use of reviews and fragile top order cost them the contest. After Bell and Broad departed, England were quickly finished off for 375 with a huge lead of 311 that if successfully chased would be the largest fourth innings chase at Trentbridge. Australia started in brisk fashion, Watson looking ominous in taking bowlers to all parts but it ended in predictable fashion out for 46, lbw while wasting a review. The rest of the batsmen inched the total to 161 over halfway to the total before they fell into disarray again. Clarke, Smith and Hughes falling in quick succession leaving Australia 6/176 at the end of day four, requiring 135 on the final day. It seemed the final day would be a fait accompli for the English side to mop up the Australian tail and move 1-0 up in the series. Australia provided fuel for this fire as after moving past 200 with the first innings hero, Ashton Agar falling for 14. 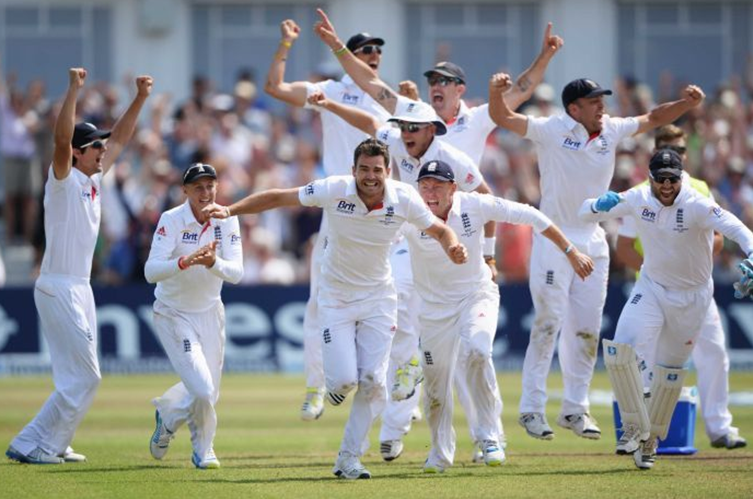 Starc and Siddle followed as the English crowd grew to a fever pitch in anticipation of the final denouement. No one told Brad Haddin and James Pattinson though, the two fought and battled their way through the opening session, taking calculated risks in chipping away at the total. The fervent support had quietened in the stands but grew louder back home in Australia especially when Steven Finn was taken for 15 in an over. Besides James Anderson, the English bowlers had no luck and not even the stall tactics from Stuart Broad in the final over before lunch could quell the momentum Australia built. It came down to this – after lunch either Haddin and Pattinson would get the twenty runs still required or England would get the final wicket. England predictably turned to their strike bowler, James Anderson who after two warm up overs produced the ball that feathered against Haddin’s bat and into the waiting gloves of Matt Prior but no movement from Alem Dar. England reviewed and upon further inspection, Haddin got the slightest touch confirmed by hot spot and snicko (eventually) to get Dar to lift that finger. This started the celebrations on field and in the stands but the series has only begun. Get your sleep Australia, it is back on Thursday night and I love it. This entry was posted in Cricket and tagged Ashton Agar, Australia, Cricket, England, James Anderson, James Pattinson, Stuart Broad, The Ashes, Trentbridge on July 16, 2013 by karenunchained. 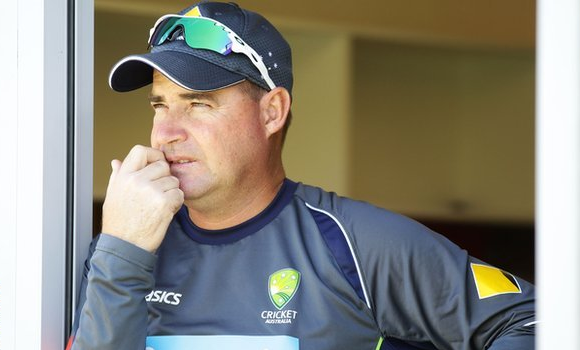 Cricket Australia have announced the sacking of national coach Mickey Arthur in England today, just days before the first Ashes test. The hierarchy of Australian Cricket all met at the conclusion of Australia A’s victory over Gloucester, where the Chief Executive of Cricket Australia, James Sutherland, broke the news to Arthur. Arthur’s replacement has almost immediately been announced as former international and current Australia A coach Darren Lehmann. This poorly timed decision is the result of the team’s performance both on and off the field, which have been well below par in recent times. Warning signs started with Australia’s disastrous 4-0 tour defeat in India. 4 players were stood down for not responding to managements requests to pinpoint why the team was failing – also known as not doing their homework. Failing to progress past the recent Group stage in the ICC Champions Trophy tournament was another blow to the equation. This tournament also seen David Warner being stood down for assaulting England player Joe Root in an Australian themed Birmingham Bar. All of these were major contributing factors for Arthur’s dismissal, which could not have come at a more inconvenient time with the Ashes Series commencing in Nottingham just 16 days from now. Arthur successfully coached South Africa from 2005 to 2010 where he built a dominating force. At the time, South Africa were the best test playing nation in the world and interesting enough, had no off-field indiscretions within the playing group. Some describing that this is Australia’s current problem. Arthur’s success in South Africa was rewarded by becoming the first international identity to coach the Australian national team, signing a contract that was to conclude at the end of the 2015 World Cup. His number 1 priority given to him by Cricket Australia was to win the Ashes, which adds irony to his sacking just days prior to the first ball being bowled. Cricket Australia have since announced the appointment 43-year-old Darren Lehmann as Arthur’s replacement. Lehmann is currently touring in England as coach of the Australia A team and will be conducting actions in his new role effective immediately. His experience is not only subject to the secondary national squad but all 3 forms of the game with Queensland/Brisbane. He has also coached in the Indian Premier League with Kings XI Punjab and the (now nonexistent) Deccan Chargers. The domino effect of managerial positions will see former Australian representative Stuart Law offered the now vacant Queensland job upon his recent return from his role as Head Coach of Bangladesh. This entry was posted in Cricket and tagged Arthur, Ashes, Australia, australian cricket, Cricket Australia, Darren Lehmann, icc champions trophy, james sutherland, joe root, Mickey Arthur on June 24, 2013 by bradeveleigh.